Founded by Terry Lister and Keith Bradshaw in 1979, Listers Group Ltd is one of the UK’s largest family owned automotive businesses and leading retail groups. In 2002, Toyota became part of the family and there are now seven centres located in Gloucestershire, Warwickshire, the West Midlands and Lincolnshire. Listers is a proud partner of 15 premium manufacturers and now boasts over 50 dealerships strategically located across the south west, midlands and east of England. We’d love to meet you, so please come and visit us at one of our centres to view our exciting range of cars, take a test drive or even just pop in for a chat about your motoring needs. Adam has worked for Listers for over 12 years, starting off by selling cars then moving up to different management roles and has now been head of business at Toyota Grantham since 2011. Adam has been with Listers since 2011, rising through the ranks from Trainee Sales and Retail manager to settle as Sales Manager. Which part of your vehicle is keeping you and your family safe on the road? This week, our team from Toyota Grantham will be showcasing a selection of the current Toyota Range. Come and experience these great models for yourself until Sunday 24th February. Our sales team will be on hand to chat about the current model range. You will find us in Newark Town Centre. We would love to chat through the latest features and arrange an appointment for you to take a test drive at your local centre. Located outside Natwest Bank , the RAV4, AYGO, Yaris and Corolla will be available to view throughout the duration of the event. Here at Listers Toyota, we have exciting new Motability offers available on a selected range of cars. There’s never been a better time to consider the Toyota range. We want you to be able to choose the Toyota car that suits the way you live your life. So Toyota have made sure that you have a wide range of cars to choose from within your scheme, together with fantastic offers. From AYGO to C-HR, we have an offer perfect for you, including the Prius Plug-In. Qatar’s Nasser Sl-Attiyah has won the first stage of the Dakar Rally in an SA-built Gazoo Toyota Hilux, beating the reigning Dakar champion Carlos Sainz, in his X-Raid Mini JCW Buggy, by 1 min 59 seconds. Here at Listers Toyota Grantham, we have some fantastic new offers available on our range of cars. From AYGO to C-HR, we have an offer perfect for you, including the all-new Toyota Corolla Hybrid Design. A familiar name for a bold new look, the All New Toyota Corolla family's eye catching design and sporty profile will give unrivalled driving experience through better dynamics and exceptional responsiveness. Now available at 0% APR* and only £229 a month, you can't go wrong. We want to make sure that your Toyota vehicle is in tip-top condition ready for the winter weather ahead! That is why we are offering a Toyota Winter Health Check for just £35! Our expert technicians will go over your Toyota to make sure that is it fully prepared for the cold weather. Your 21-point check includes your essential fluid levels - engine oil, screen wash, coolant and anti-freeze. And if this needs topping up, it will be included in the price. Thinking of selling your car? We are here to help. At Toyota Grantham, we will buy your car from you and give you cash to walk away with. In addition, we will come to you nationwide to appraise and collect your car, free of charge. With our competitive quotes, you might be pleasantly surprised how much your car is worth. As we're buying for retail and not trade, there's no third party involved, which means you get more money for your vehicle. When it comes to car maintenance, many of us think only in oil changes and brake pads. But tyres also deserve our attention, since they’re the only part of our vehicles that actually touch the road surface. 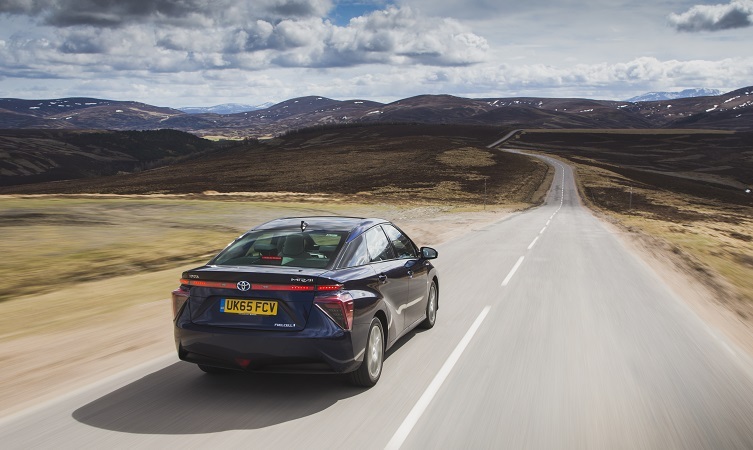 Here we provide information concerning tyre law in the UK and inform you of the tyre sizes and preferred pressure levels for all of the models in the current Toyota passenger vehicle range. 1. What is the required tyre tread depth in the UK? At Listers Toyota Coventry, we have some fantastic offers available across our range, including the Avensis! Just one look says premium quality. The elegant aerodynamics of both the Toyota Avensis estate and saloon alike create a compelling aesthetic, while refined interior finishes establish a distinct sense of luxury. Intelligent technologies, intuitive controls and a choice of powertrains make driving a truly rewarding experience. Now available at 4.9% ARP*, you can't go wrong! To find out more, click here. Alternatively, call us on 024 7663 9199.